TRY OUR NEW RAMEN, IT'S SLUUUUURPING GOOD! Maison Tatsuya serves a tempting array of premium quality teppanyaki and Japanese western style fare to spoil your palate in a Japanese casual dining setting. Combining the western cooking technique with Japanese refined taste, our menu ranges from delectable charcoal grilled steaks to delicious Japanese pasta and a variety of appetizing teppanyaki. 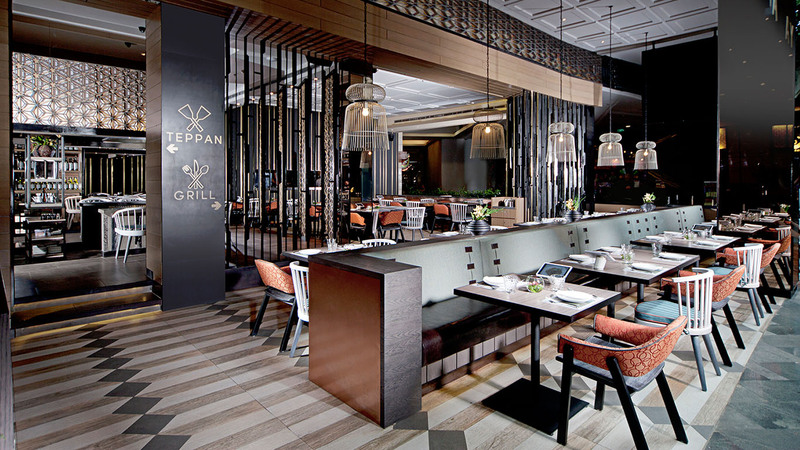 In a warm and friendly atmosphere, our chefs will serve freshly hot cooked dish upon showcasing a live teppanyaki cooking on a hot flat griddle in front of the diners, combining the art of dining and entertainment. Every outlet of our brand is equipped with versatile dining area that breathes cozy ambience, customarily designed to cater various types of events and gatherings – from fun birthday bash to comfy business meeting and successful product launch. As far as our customized service goes, we are also ready to take care of your catering needs while you plan your event. Find out our attractive package with various choices of delectable foods, ranged from Southeast Asian fare to Chinese, Japanese and Western cuisines. PT Arena Gourmet Indonesia ©2015. Jakarta, Indonesia.